Preheat lard in a electric fryer set in the range of 350ºF - 375ºF. Alternately, use a heavy kettle with high sides over medium-high heat on the stovetop. Have the cover nearby for any unlikely "situations." Meanwhile, using a fork, break-up corn kernels in a large mixing bowl. 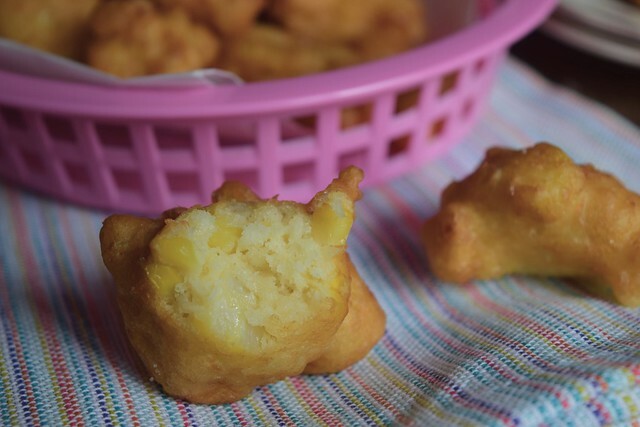 Pour milk, egg, and coconut oil over the kernels, give that quick stir. Add in flour, sugar, baking powder and salt, stir to combine. If the mixture looks a little thick, add a teaspoon or two more of milk and mix well. Drop batter by teaspoonfuls into hot lard. Fry for 1-2 minutes, flipping once or twice to encourage even browning. Remove with a slotted spoon to a paper towel-lined plate. Sprinkle with a titch of fine sea salt. Repeat with remaining batter. Mix together honey and butter. 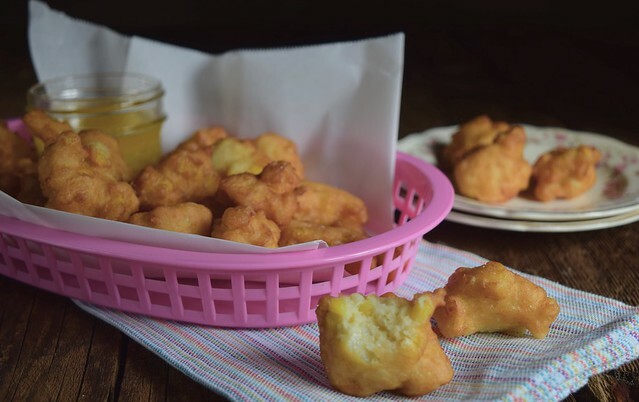 Serve fritters with honey butter. To reheat, preheat oven to 350ºF. 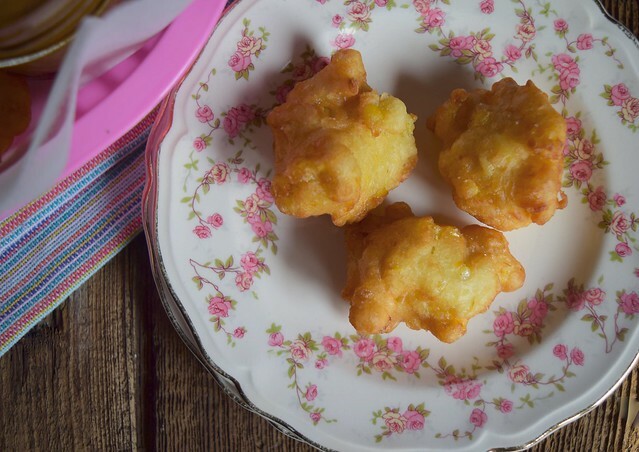 Place fritters on a baking sheet and reheat for 7-9 minutes, until sizzling and crispy again.